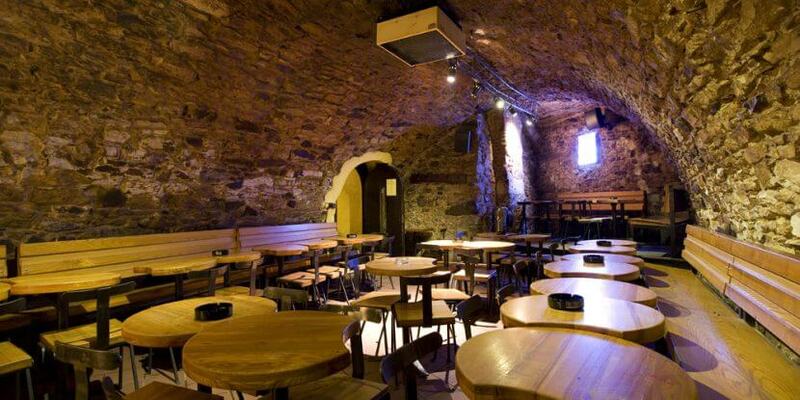 U Sudu might be the best kept secret of Prague, although it is located in one of the most animated streets of our beloved city, when passing you might never guess the labyrinth of cellared rooms that lie beneath this unassuming bar. 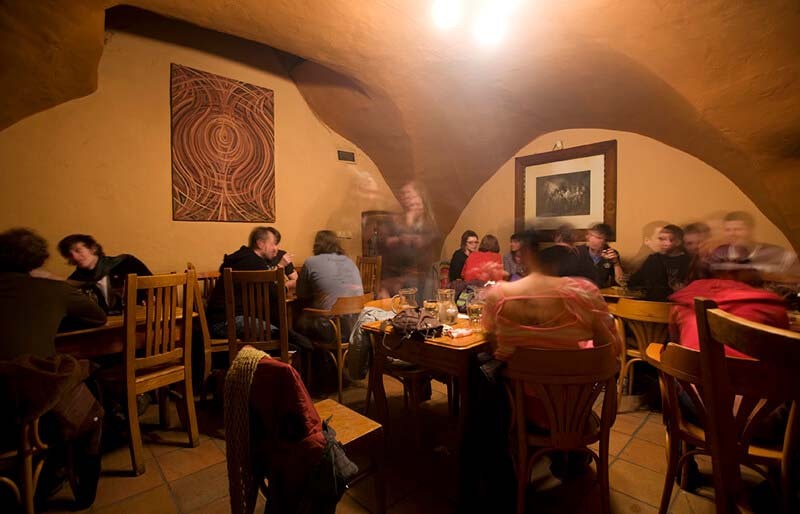 Among all of the bars in Prague, U Sudu is one of our favorite, mostly because of its cave-like atmosphere and incognito appearance. On the ground floor, right after the bar, there is a piano that you can use at your leisure followed by a foosball table room where you can challenge the locals around a beer! The best part is definitely downstairs : the cellar resembles a labyrinth but surprisingly clearly divided into different areas. In brief, U Sudu is a hidden treasure and a local favorite for its cheap beer and its lively atmosphere ! 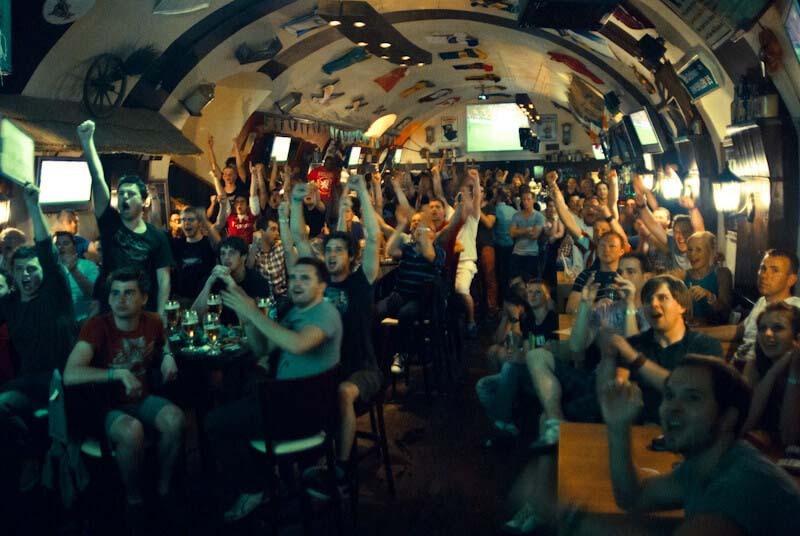 How to get there from Sir Toby's - Tram 14, stop "Vodičkova"
This local favorite is located just 200 meters from Narodni Trida, Vzorkovna is one of the most iconic clubs in Prague. This underground place, also called the “Dog Bar” (you will quickly understand why once you’ll go down the stairs), had became the most famous hipster hangout in the center. Predominantly populated by the international and local student crowd, Vzorkovna is a maze of old furnitures, graffiti and even bunkbed-style seating. The three main reasons why it’s our bartender's favorite? The design, its selection of Czech beers served in a jar and its (almost) daily live music jams. Good to know before trying to get in there, you have to pay a minimum of 50 CZK, charged on a chip you get just before entering. Services - Free WiFi, Cash Only as you have to pay before going to the bar. 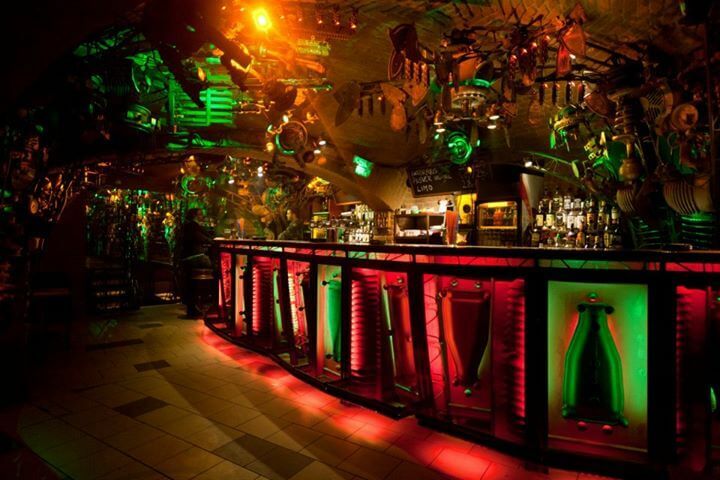 A short three-minute walk from Old Town Square, The Dubliner is definitely one of the largest and most popular Irish Pub in Prague. It has obviously everything a proper Irish pub should have : finest beers (czech and irish), tasty food and live music pretty much every week. The Dubliner is the perfect spot to grab a cold brew, meet an international crowd of people while watching your favorite sport on TV! 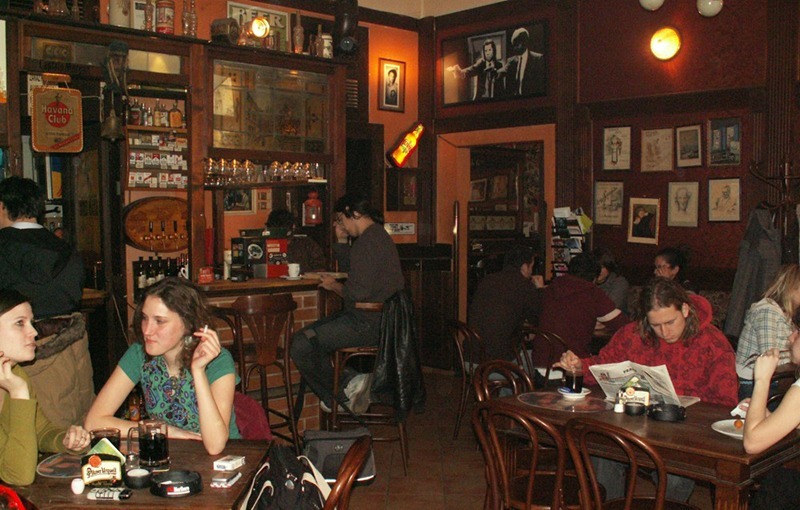 The reputation of CrossClub is well known among alternative souls of Prague. 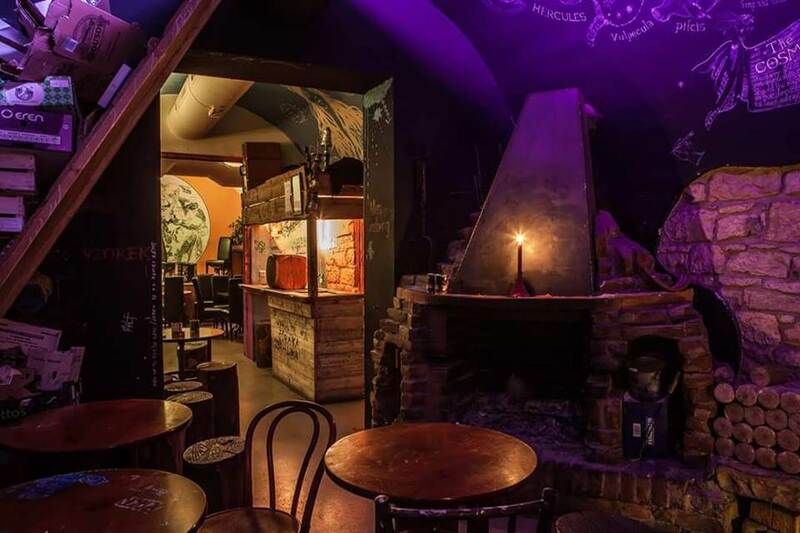 Right in the middle of Sir Toby’s neighborhood, this futuristic club is entirely made from upcycled industrial equipment and is truly a place to be discovered in Prague, whether you are there for music or just for your curiosity. This unique compound not only has a cafe and three bars but also two two dance floors offering various styles of music on any given night... Our favorite part is definitely outdoor beer garden especially during summer. Here, you can grab a cold brew while eating some of our favorite burgers and burritos in all Holešovice! The club also organizes exhibitions, plays, outdoor cinema and a monthly street food festival throughout the summer. In brief, if you’re staying at Sir Toby’s and looking for a unique nightlife experience, CrossClub is not to be missed..
How to get there from the hostel - 10 min walking OR Tram 12 or 6, stop "Nádraží Holešovice"
Why - If you are looking for something smaller and quieter, Hany Bany is the perfect spot for you. There are so many things to say about this bar, and all of them are good! This Pulp Fiction themed cafe & bar is mostly populated by young students and locals, with whom you may have to share a table, as this place is often packed! What we love about this place? Its crazy Happy Hour between 3pm and 4pm, where you can have a liter of beer for less than 40Kc! On top of it, you can enjoy some pretty delicious food for a unpretentious price all day! Inspired to book a trip to Prague? Check out our current special deals. 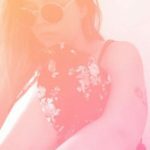 Clem is a 25 year old french girl who came to Prague in October 2016 for holiday and never left. Her hobbies are breakfast, lunch, dinner and czech beers. When she isn’t keeping herself busy with that, you can catch her at the front desk, in basement, or in the backyard, planning events and making Sir Toby’s the best place to be!